Backed by rich industry experience, we have been able to satisfy the diverse needs of our clients by providing an assorted gamut of Toughened Partition Glass. 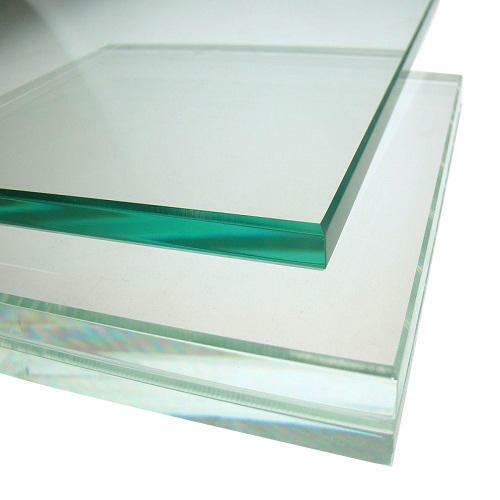 This glass is used for making doors, windows and other objects. At our manufacturing unit, this glass is manufactured and designed using advanced technology and high quality glass that is procured from the trusted vendors of the market. Near, Dena Bank, Maninagar Char Rasta, Maninagar, - 380008 (Gujarat).. Established in the year 1975 as a privately held organization we” AMBICA GLASS”, have become the most trusted manufacturer, supplier, distributor, wholesaler and trader of wide Variety of Glasses. The quality approved products are widely used and recommended by our clients for features like durability and ease of maintenance. The range is manufactured from premium quality raw material, sourced from credible vendors of the market. Designed to deliver optimum satisfaction to customers, our products are made available at competitive prices. 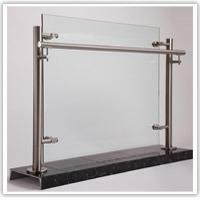 Apart from this we also provide Glass Fitting Job Work, Glass Cutting Job Works, Glass Designing Job Works Service etc, to our valuable clients. We are backed by superior manufacturing and warehousing facility in Gujarat (India). As a result, we are able to store our products for a longer time without any deterioration. 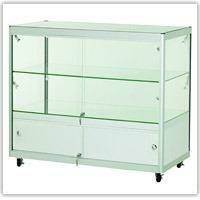 This helps us in furnishing the products in case of an immediate requirement from clients' side. Ethical business policies and transparent transactions have helped us, emerge as a reliable name in the market. Owing to superior attributes offered by the range, our products find immense application in aluminium industry and for interior decoration purposes. TQM, efficient logistics and financial stability have helped us to capture a significant market in short span. Our owner, ‘Mr.Ashok Khatwani’ has assisted the organization to grow in the global platform. With the right fusion of managerial and technical skills, he has empowered us to improvise our range as per international standards. Ambica Glass and Framing are proud to introduce ourself as a complete solution provider company in architectural glass and Aluminium products. Ambica Glass and Framing has been amongest the pioneers and leading glazing company in construction industry. Ambica Glass and Framing offers wide spectrum of high performance architectural glass solutions such as Toughened Glass, Laminated Glass, Double Glazed Insulating Glass,Curve Glass, Patch Fitting, Spider Fitting, Frameless Glass Doors, Shower enclosures, Auto Sliding/ Swing doors, Glass Wall and Glass Partition, Glass Roof, Glass Floor, Glass Canopy, Glass Sky Light, Glass Staircase, Squash/Racket ball Wall, Suspended Glass Glazing, Bolted Glass Glazing & modern Bolted Glass Glazing. We are competent in offering an excellent quality array of Aluminum Partition. This is manufactured at par with the international parameters using top-notch quality raw materials by experts at our vendors' end. The offered partition are available in varied technical specifications and can be customized as per the exact requirements of clients. 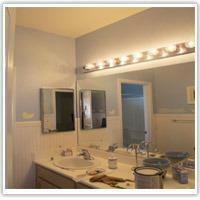 We also provide installation services of the same at market leading prices. Features: Robust construction Easy installation Durability Rust proof surface finish Majorily Supplied In Gujarat.